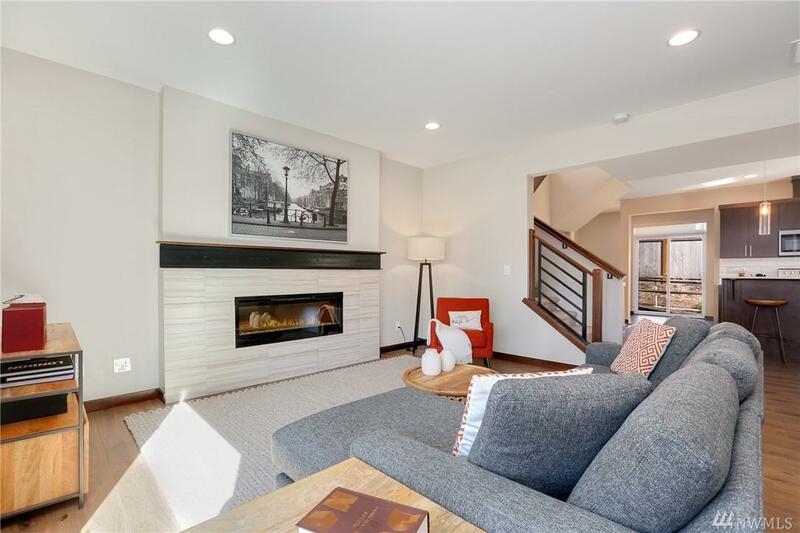 Delight in this like new townhome w/high-end finishes & soaring windows throughout. Gourmet kitchen boasts island w/eating space, granite counters & ss apps. 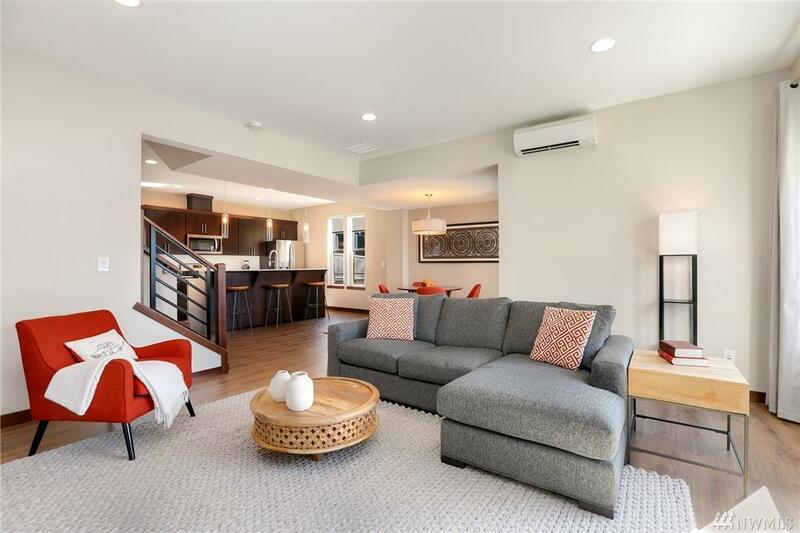 Open floor plan w/laminate flooring ideal for entertaining & making new memories. 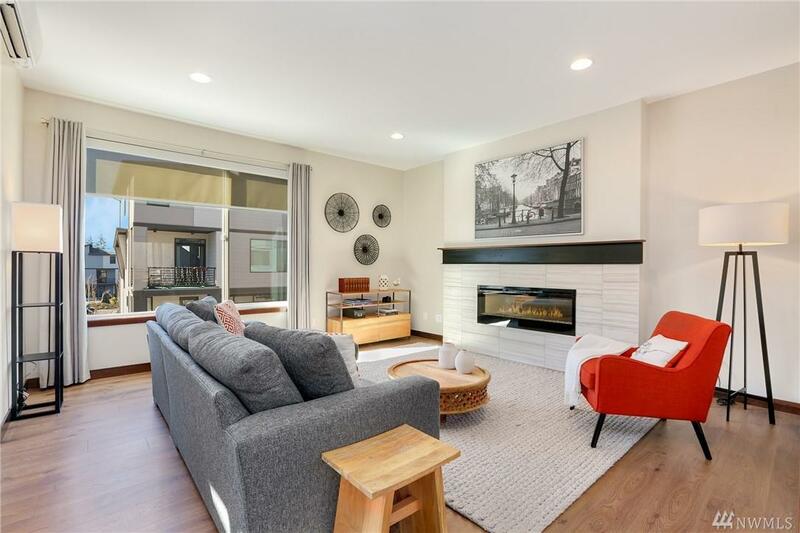 Spacious living room w/ample sunlight & cozy electric fp. Three spacious bdrms upstairs includes lg master bdrm featuring vaulted ceiling, bath, & walk in closet. 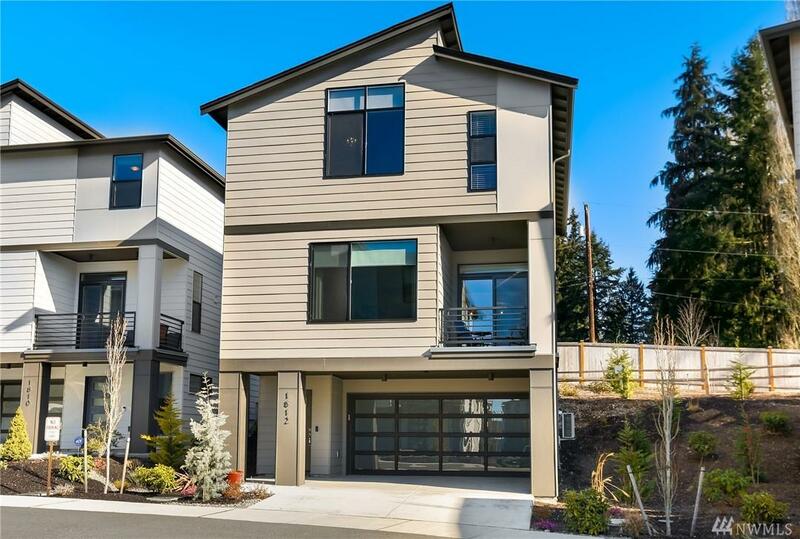 Two car attached garage, community playground & ideally located for commuting to I-5 & 405.